Last week, 15 Estonian startups and startup support organizations opened their doors for 16 startup events and 28 mentoring sessions, hosting altogether around 1000 people interested in startup topics from Data Science to chatbots, from adtech to ICOs. The week was highly popular as most of the events and sessions were fully booked a week before the event. Startup Week is a five-day celebration of the entrepreneurial mindset and startup community happening all around the world, initiated by the world-renowned startup accelerator Techstars 7 years ago. It has now spread to more than 75 cities globally, including Tallinn, where Startup Estonia has had the pleasure of bringing the format to Estonia with the support of our strong startup community. As last year was the first year for Tallinn to host the festival, this time around we aimed to go bigger and are extremely happy that our awesome startups helped to make it happen. The week started off with an oversold event at the HQ of Taxify - an impressive kickoff to the week with more than 200 attendees eager to hear about the secrets behind Taxify’s Data Science. Rain Johanson, the Head of Engineering at Taxify noted that Machine Learning is essential to the Data Science behind Taxify, especially as the company is growing so rapidly. Taxify has grown 10x during the last 12 months and scaled their team from 70 to 350 members. Founder and CEO of Funderbeam, Kaidi Ruusalepp along with Stefano Bernardi, a full-time token economy explorer and Investor in 50+ companies through Mission and Market introduced a crowd of 100+ people to what ICOs (Initial Coin Offerings) are, their differences, and what they mean for the future of finance. „Funderbeam has just released a very interesting report with a lot of nice data on ICOs. Specifically, they segmented the data by countries to figure out who is raising money where and what the top cities in terms of the ICO activity are. I was happy to be a guest at the event where Funderbeam’s CEO presented the report and I suggest you go download it if you are interested in learning more about ICOs,“ said Stefano Bernardi after the event. Biggest name in the local startup scene, the global fintech disruptor TransferWise, has organized regular panels in cooperation with the local startup scene for some years now. This year’s Startup Week event focused on how hiring has been turned upside down in the age of startups. „The dynamics and the vibe between the panelists, the moderator and the audience was awesome. 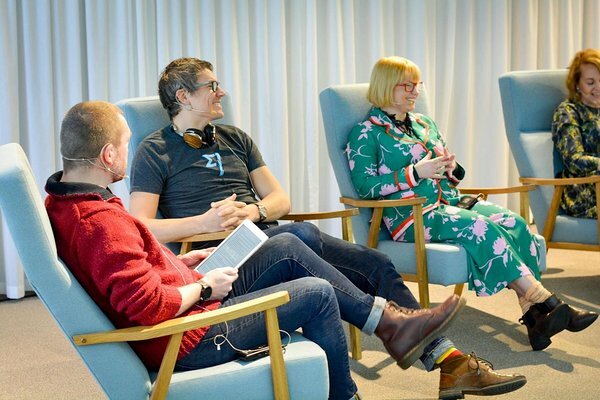 It’s been great to see the number of people attending TransferWise panel events grow with each time, and it’s cool that the audience has expanded beyond the local startup scene,“ said Marek Unt, Head of European PR at TransferWise. Additionally to the event track, Tallinn Startup Week also held a mentoring track. Mentors from Elisa Eesti, Move Guides and Startup Wise Guys worked with seed and early stage startups, validated business ideas and gave guidance for pitching to investors. Mentoring sessions were highly popular as we saw all of the sessions getting booked well in advance. 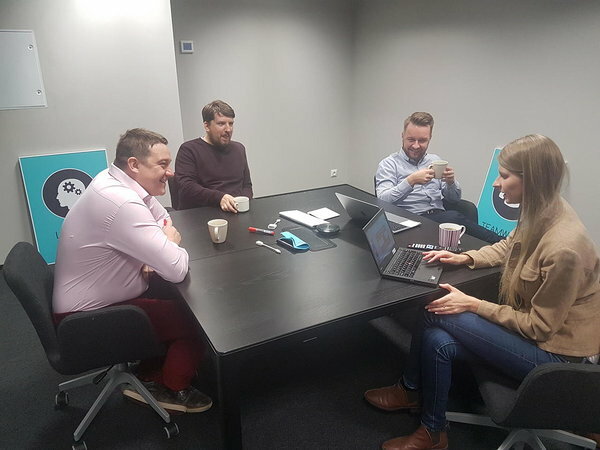 Mentoring session hosted by MOVE Guides Estonia. Photo: MOVE Guides Estonia. 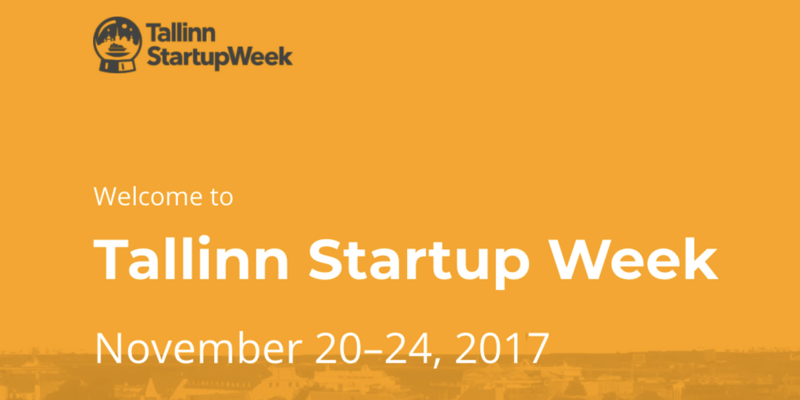 Tallinn Startup Week 2017 was coordinated by Startup Estonia, an organization dedicated to building and strengthening the startup ecosystem in Estonia and creating a solid ground for our local startups to take off from. As we saw great interest from both the organizers and participants, we are keen to to grow Tallinn Startup Week even bigger and better in the coming years. A warm thank you to all the participants for making the week such a success and see you all again next year!